Okay..not my first, but he saw me making a list of my first few customers...and immediately put his order in last night. Not only did he put an order in, he selected one of his t-shirts and scrummaged through my scrap fabric drawers. 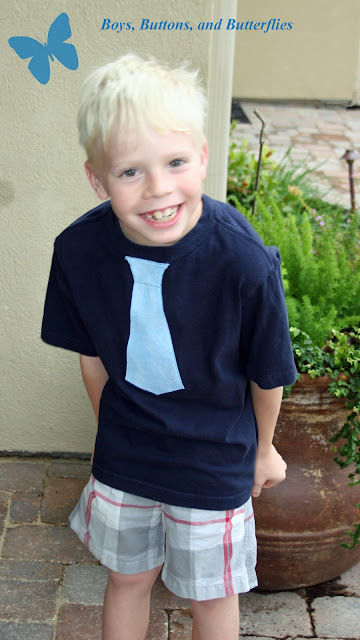 It is funny, because I wanted to do a few onsies with applique ties and bowties. I have seen quite a few ladies do it on their blogs. But honestly, he had only seen a screenprinted shirt like this at Target and knew that I could do it...that sassy little thing! My technique definitely needs some work, but all that matters is that he likes it though! Nothing like good customer service!